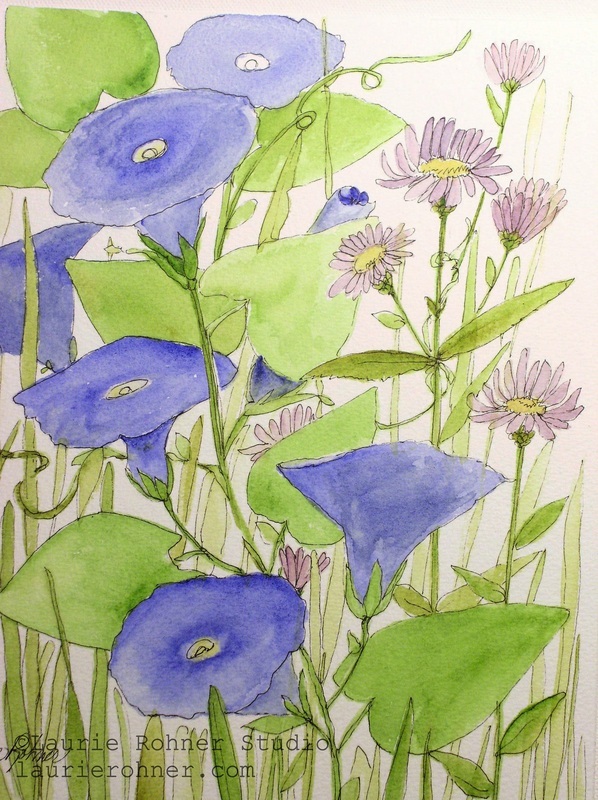 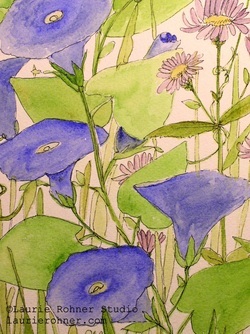 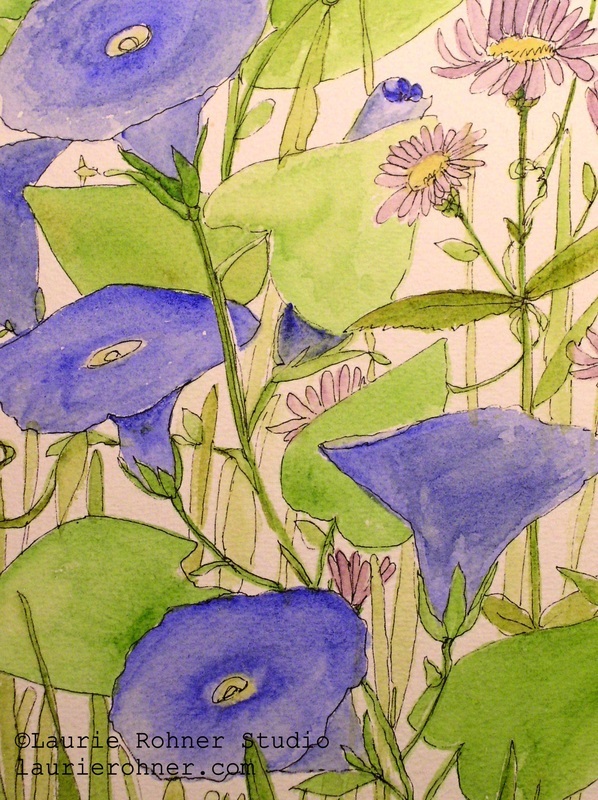 SOLD Nature Art morning glories asters botanical garden flower watercolor by Laurie Rohner. 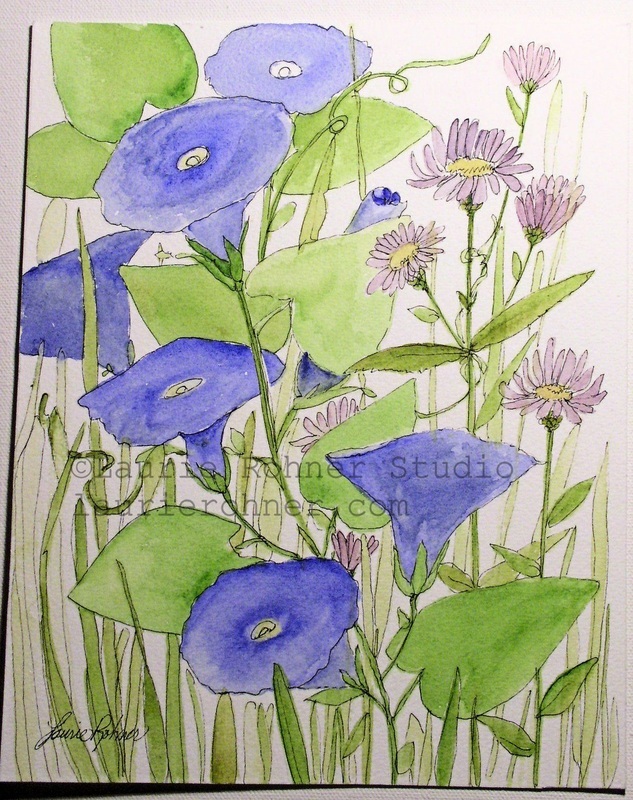 A watercolor painting is an original botanical garden art of nature art with blue morning glories and soft lavender purple asters. 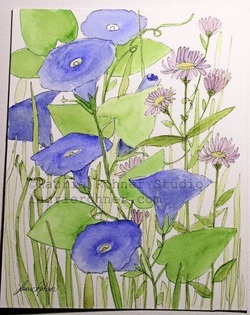 The title of this whimsical painting is Morning Glories and Asters by Laurie Rohner.